The only multi-channel leak tester in one case that allows you to remove one channel for service or calibration and continue to leak test with the remaining channels. Hydra allows simultaneous or sequential pressure decay leak testing on four completely independent channels. Each channel has its own leak test transducer and each leak test channel has less than 1.5 cc of internal volume. Hydra uses a color touchscreen with WINATEQ 300 software which includes: SPC, data collection and various real-time leak test results displays. A quality control engineer will get the data they are expecting in no time. 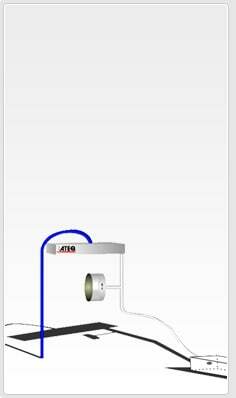 Any training around the Hydra will show how easy it is to teach leak detection to newcomers … thanks to the interface. Many of ATEQ’s leak testers are being installed into quality labs or they are simply being set up in labs prior to being installed on the production line. These test conditions require a small unit with a fast and clear interface and gigantic memory to store all the trial parameters and tests. Discuss your Application and product options with a local ATEQ® Leak Test Sales Engineer.